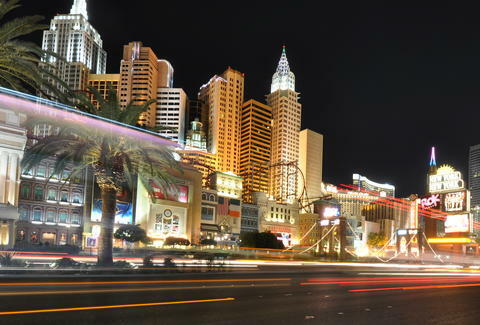 MGM Resorts International has more hotels and casinos on the Las Vegas Strip than anybody else. 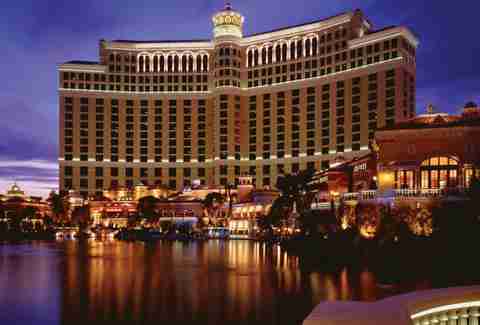 Their resorts include iconic properties like the Bellagio, Mirage, and the MGM Grand. Now the company is doing away with a long-held Las Vegas tradition: free parking on the Strip. 2. It goes against a long history of not charging for parking (or valet service) on the Strip in order to pack casinos full of customers. 3. MGM Resorts are using very specific rhetoric to try to make you think this is a good thing. That's just insulting. "MGM RESORTS INTERNATIONAL TO ENHANCE GUEST PARKING EXPERIENCE WITH NEW PARKING FACILITY, NEW TECHNOLOGY AMENITIES AND UPGRADES TO EXISTING FACILITIES"
"New parking strategy introduces modest parking fee program for valet and self-parking to provide significant improvements to overall resort experience"
So, paying for parking will improve my resort experience? "I think that the way they made the announcement was botched," says Alex Simon, the CEO of Digital 86, an online reputation and crisis management company. "They should have given more information... If you make a decision that's going to cause this much backlash, you need to give people a better reason why you are doing it and also details of what you are doing." An MGM Resorts internal memo obtained by Thrillist acknowledges that even its own employees are expected to "react strongly, possibly negatively, to the announcement" while stressing the importance of sugarcoating the message to the public, claiming the move is a response to "changing consumer tastes and demands." That's right, apparently we've been demanding this. To rub salt in the wounds, Corey Sanders, the Chief Operating Officer of MGM Resorts, told the Associated Press, “there’ll be initial backlash, but a month from now, three months from now, people will completely forget about it." Simon believes the statement is a tone deaf response to the negative reaction the company is facing online, especially on social media: "It's naive for him to say that. How does he know that people will or will not forget about it in three months? I don't think they will." 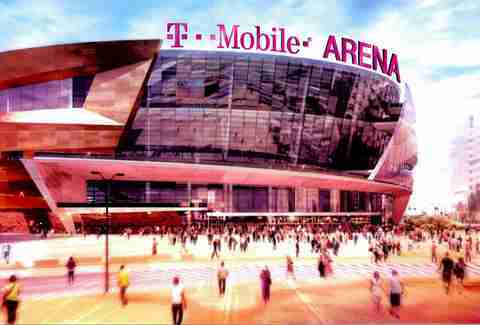 The easy answer is the brand new T-Mobile Arena being built on the Strip. The 20,000-seat venue, a joint project between MGM Resorts and AEG, is right behind the Monte Carlo and New York-New York resorts, both MGM properties, and will open April 6th. Yes, it's expected to be awesome, modern, and high-tech. It will host the biggest entertainment events and (fingers crossed) be the future home of an NHL expansion team, but here's the catch: a parking garage was never built for it. MGM Resorts told us not to worry about it. The company has resorts within walking distance of the new arena, which all have spacious parking structures more than capable of handling the bump in traffic during events at the new venue. That's just not true. Along with the announcement about the new parking policies, MGM Resorts also revealed plans to construct a new parking garage after all -- although it will be finished about a year after the arena opens. The structure will be large enough to hold approximately 3,000 cars and will be built near the Excalibur with the purpose of handling overflow traffic from the new arena as well as The Park development around it (and the new mid-size theater currently under construction at the Monte Carlo). MGM Resorts says it will cost $54-million and charging for parking on the Strip is part of the "strategy" to offset that cost. Simon thinks there's a more logical way to help cover the expense. "If they want to build a new parking structure by the arena and charge (for event parking only), I think it would be much better accepted by the public." Despite the hype, there's no new ground being broken with this. Your car will pull up to a gate at the parking garage, and you'll take a ticket. 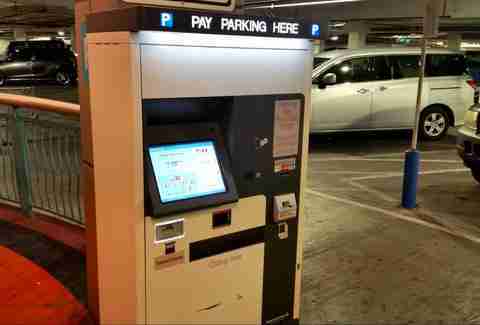 When you are ready to leave, you'll pay at an automated kiosk before returning to your car. The amount you pay will be based on the time you spend at the property. A full rate list has yet to be released but the price will be $10 a day (or less) for self-parking. That figure could be prorated to a lower amount if you, for example, only spend a few hours at the property. Not all properties will necessarily have the same rates. Which resorts are now charging for parking? Will any resorts not charge for parking? According to the same memo, Circus Circus will not charge for self-parking but will charge for valet. There will be no charge for valet at two shopping centers under the MGM umbrella: The Shops at Crystals at CityCenter and the Shoppes at Mandalay Place between the Luxor and Mandalay Bay. It will be interesting to see how that pans out, since people could use those valets to avoid being charged while visiting neighboring properties, leading to congested garages. 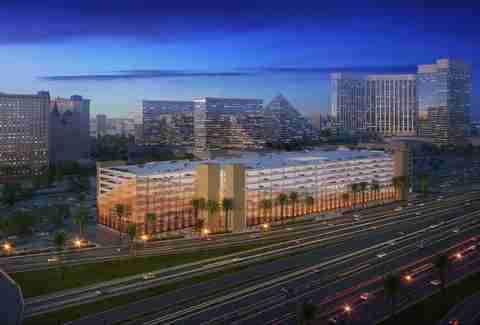 The Signature towers at MGM Grand, just one block off the Strip, are also not expected to charge for parking. What's going to happen with valet service? A source within the company says valet at Strip resorts will now be around $17 a day -- at least at the Bellagio. None of that will go towards the valet attendants directly. One employee says it could lead to a major reduction of income (65 to 70 percent) for those who work in the valet area. Clearly the idea is to hand over a $20 bill and have them keep the $3 difference as a tip. Fair enough. However, fewer drivers will choose to valet when it isn't free. That means less cars and less tips for employees overall. Drivers will also have the option to pay for valet by credit card. When will these new fees start? Our source says April 1st. MGM Resorts is adamant about not mentioning a specific date and will only officially say the "second quarter of 2016"... which would point to April, especially since the new arena is opening early in the month. Getting new equipment into place and refurbishing existing parking garages could be a factor as well. Are there any perks for locals? Locals (those with a Clark County address) on their ID will be given a "grace period" for free parking after the new policy goes into effect. How long that period will last is anyone's guess at this point. "As a local who's been here for over 10 years, I know that free parking is one of the few freebies that we are still entitled to on the Strip," says Simon. "So if nothing else, MGM should make parking free for locals permanently." Will there be a rewards program? If you sign up for the "M life" customer loyalty card, you can receive some sort of discount or "maintain" free parking status by "earning privileges" with the card (which kind of sounds like gambling). That could also mean a certain degree of free parking as a reward for a certain amount of paid parking. "If you were to sign up for it and get free parking, it's a better idea than having to earn points to get free parking." Simon points out. "If you are just going to a restaurant and don't want to gamble, you don't necessarily want to get a card." Will other resorts follow suit? 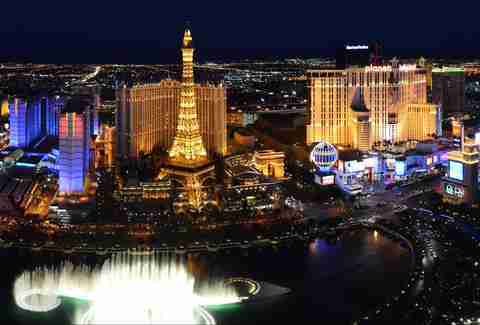 Caesars Entertainment, MGM Resort's biggest rival on the Strip with resorts like the Flamingo, Paris, and Caesars Palace, has been mysteriously quiet. That's not a good sign. Wynn Resorts is not commenting either. The Cosmopolitan, SLS Las Vegas, and Sands Corporation (Venetian and Palazzo) say they have no plans to charge for parking. At least for now. We're still waiting to hear from the Tropicana, Treasure Island, and the Stratosphere. Station Casinos, who has several properties in Las Vegas but none on the Strip says it "won't charge for overnight parking," and being geared towards locals, would be unlikely to charge any sort of fee for parking anytime soon. Regardless, the gaming industry will be watching closely to see how this plays out, just like when MGM Resorts introduced "resort fees" -- an extra charge added to the hotel price that guests often don't know about until check-in. 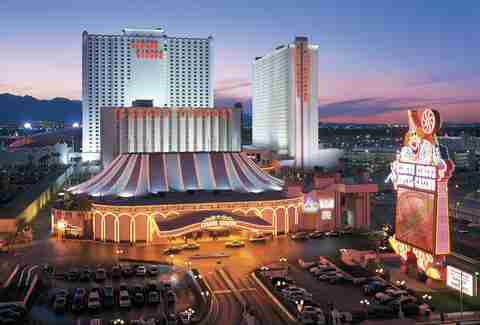 "MGM is famous for making decisions that are unpopular with the public, as they did with resort fees," adds Simon. "A few years ago, they were the first ones to do it. Other properties actually then adopted them afterwards." Simon also thinks for now, a struggling resort like the SLS can take advantage of the situation to draw people who are just looking for a place to gamble on the Strip. "If they don't really have a preference between the MGM Grand and SLS (for example), I think a lot of people actually will go to SLS because of the free parking." Employees will continue to park for free. That includes those who work at individual retail and dining businesses within the properties. MGM Resorts also says "hundreds" of new jobs will be created to build the new garage and upgrade and improve the existing parking structures. In addition to the $54 million being spent on the Excalibur garage, MGM Resorts is setting aside $36 million to renovate the ones currently in place. That includes stuff like LED lighting and... wait for it... new paint! Also escalator improvements. But the "upgrades" are really all about installing new equipment to take your money. Downtown parking is cheap, especially at properties that offer validation. A recent visit to the Neonopolis parking garage was literally $1 for about two hours. And the downtown area, while on the upswing, simply doesn't have as much to offer as the Strip does. But that's not an excuse. Downtown has its own problems, too. After stressing the need for free parking to continue the momentum of the area's resurgence, the city of Las Vegas promised tons of free street parking as part of a recent renovation project. The city then did an about-face, installing parking kiosks that charge for parking until 10pm. The move does more harm than good, but that's a subject for another article. It's only a few extra bucks. What's the big deal? It's not that visitors or locals are unwilling to pay an extra few dollars here and there. That's why we gladly tip the cocktails servers, valet attendants, and anyone else who is working hard to contribute to our experience on the Strip. However, there is resentment that a multi-billion dollar company wants to squeeze every nickel and penny out of its customers... just because it can. Apparently it's not enough that the casinos in Las Vegas have already squashed competition like Powerball in the state, and have used their political influence to keep tax burdens in check for decades -- while the Nevada school system runs dry of the same money that the casino floors soak in. It's now chipping away at some of the best aspects of what makes Las Vegas awesome: its convenience and low cost-of-living. MGM Resorts has been eagerly pointing out that other destination cities, from Los Angeles to Orlando, already charge much more for parking in tourist areas. But that's the point. Las Vegas isn't like any other city. We come here to waste money when we want to. Not because we have to. It's part of a tradition that says "come where the parking and valet is free so you can spend your money on the casino floor instead." It's the Sin City version of freedom: blowing money on your own terms. 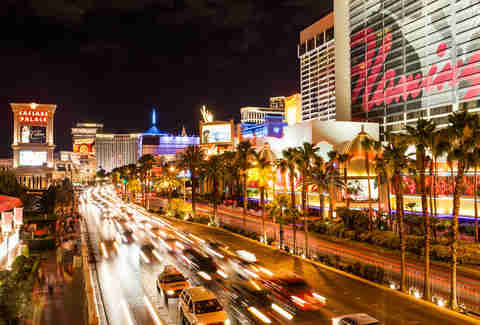 If you haven't pulled your car into the parking garage of the Bellagio or Mirage, driven up to the top level and soaked in the quiet open air neon view of the Strip, then you truly haven't experienced Las Vegas. It's something you should be able to do... even if you forget your wallet at home. Rob Kachelriess doesn't validate parking. Sorry. Follow him on Twitter @rkachelriess.